Where in the world can these landmarks be found? What do you think? Guess and discuss. 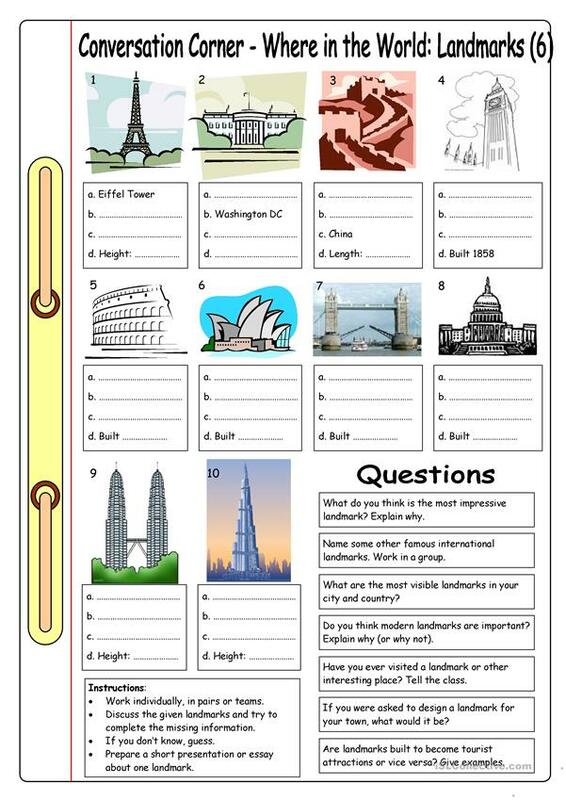 This conversation worksheet with 10 landmarks and 7 questions can be used as a basis for an informal discussion about landmarks, tourism, culture, national identity, pride, and more. 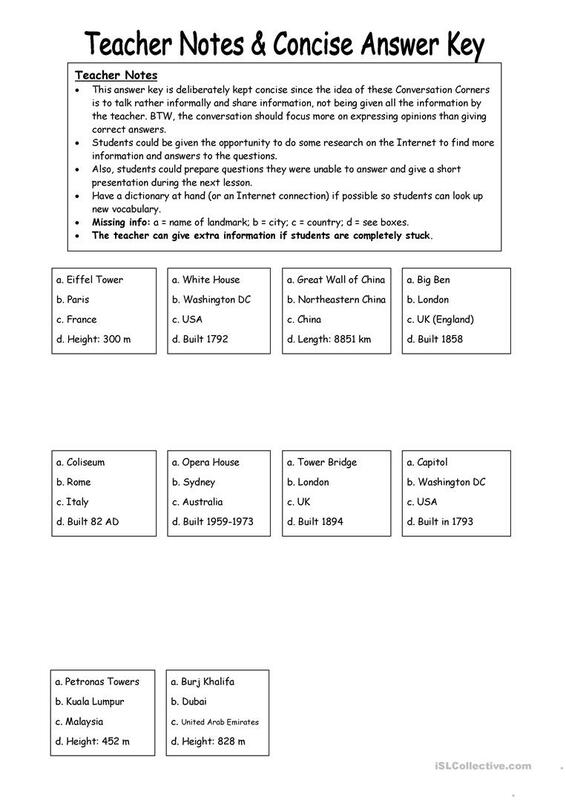 It can be used for Internet research and/or giving short presentations as well. This downloadable handout is meant for high school students and adults at Elementary (A1), Pre-intermediate (A2), Intermediate (B1), Upper-intermediate (B2) and Advanced (C1) level. It is a valuable material for strengthening your students' Listening, Speaking, Reading and Writing skills. It is about the theme of Travel. The key is provided, too.